Is your three-year-old insisting on diapers? 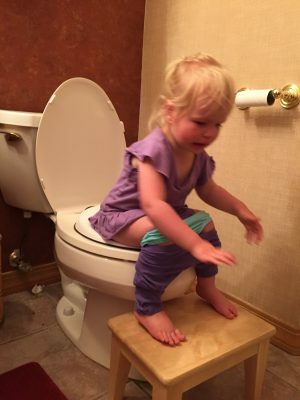 Take the struggle out of potty training with this proven technique. Our son just turned three and we are having major issues with the potty. He was almost potty trained at 18 months but we didn’t “pull the trigger” because a new baby was on the way. Now it is a struggle to get him to even sit on the potty. I’m afraid we are in a horrible power struggle. He never tells us when he has to go, although he obviously knows and if I can get him to sit, he will go. We’ve tried stickers, getting excited, silly songs, promises of spending the night at Nana’s…I hate bribing and he isn’t going for it anyway. Any advice would be much appreciated. Normally-developing children are fully capable of independent pottying by age 3, so any issues tend to be emotional rather than physical. If your son is not “going for” the excitement that you’re trying to generate, you could try going the exact opposite route. Just get rid of diapers (night and/or naps are still fine) and let him know that he needs to keep his underwear dry. Remind him periodically that when he needs to go he can go in the potty, but don’t ask him if he needs to, don’t take him to the bathroom (unless he asks for help or company), and just let him be the one in charge of everything, except the fact that he is now three and needs to wear undies during the day. When he finally does decide to go to the potty, you can play it by ear whether he will want positive attention and excitement, or whether it’s all totally not a big deal, just something that he does. Often children who have resisted excitement will prefer the latter. I have seen lots of three-year-olds who do just great with this technique. It takes all of the power issues (of doing something because mom wants him to) out of it, and it makes it into more of a practical matter than an emotion-laden one of success/failure. Put aside your anxiety. Let go of the idea that your child has to be excited about potty training in order for it to be successful. Get yourself and your complex emotions out of the way as much as you can, and your child can master the physical skill of pottying quite quickly. Because your son prefers to go in a diaper at this point, he may well ask for you to put one on him when he needs to go. Just let him know that now that he’s three (or now that he’s big, or since it’s winter, or whatever explanation you give), he wears undies like everyone else and it’s just the way things are. If that’s upsetting you can be compassionate, give hugs, use humor. One thing that can help is if you keep doing diapers for nap/bedtime, get a different brand than you’ve been using, and let hime know that they’re “sleep diapers” and only for sleeping in. Do you think this might work for your little guy? Be prepared for several days of accidents, but some children really surprise you once you take the plunge. Miss Faith- Your advice for my potty learning questions was awesome! We have now been doing the above for one week and our son is doing awesome! The first two days were full of accidents, but I did exactly as you suggested- He did everything- I even had him help with doing his laundry (he even helped bring the hamper down to the laundry room and put his clothes in the washer- which I think I am going to have him do all the time now 🙂 ). He has not had a BM accident in a week and only has had 1 urine accident!!! He also goes to the potty by himself and half the time we don’t even know he has gone until we hear him flush! Thank you so much for your great advice and wisdom!!! Abigail, I’m so glad that it went so smoothly; it’s always nice when my advice works exactly as planned! It can feel hard to “take the plunge” while also stepping back emotionally, but it sounds like you did a great job. And thanks for commenting and sharing your experience with everyone. My post questions are always written to/from real people, but we usually don’t get the treat of seeing the results here on the blog. I think this is great advice. I ended up letting my son lead potty training and he had very few accidents. However, he refused to poo on the potty, so I ended up giving in and letting him have a diaper to poo, hoping he would go in his own time. He is almost 4 now and still refuses to go poo on the potty. he says he just doesn’t want to sit. Maybe I should invent a standing toilet for him! Do you have any suggestions? Thank you! Erin, I think it’s unfair of us to want our kids to WANT everything we require of them. I think that eventually you’ll just need to tell him, “I know that you don’t like sitting to poop. It DOES take a little while to get used to. 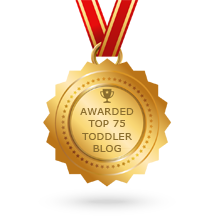 But now that Christmas is past/it’s the new year/spring is here, the diapers will be all done and you’ll need to poop on the potty just like everyone else.” Then bite the bullet and get rid of the diapers. You may get a few days of protest and accidents, but once he realizes that this is the new reality, he will adjust, and likely discover that pooping while sitting down is not so bad after all. You could also tell a story to help him play with the idea. Maybe tell about how before people had houses, they would squat and poop in the woods, then use a stick to cover it with earth. Then when the poeple started building houses, they made permanent toilets. And the first children in those houses didn’t want to poop in the strange potty at all! They wanted to poop out in the woods, like they were used to! Their parents tried and tried to convince them, but they said “NO!” Every day, they would go out into the woods to poop on the earth. In the winter, they’d poop in the snow. But then one day, the biggest brother decided that maybe he would try to poop in the new outhouse. He went in, and pulled down his pants, and sat on the toilet. It felt so strange! But then when he was done, there was no mess! And he wasn’t cold! He just wiped his bum, then stood up and pulled up his pants. It was strange, but he thought that maybe he’d do it again. The next day, his sister decided to try it. (Repeat about how it felt strange but was easier). Soon they were pooping on the potty every day, and they wondered why they had ever waited so long. Thank you for this article ! I have a 3 1/2 year old who does not tell me when she went in her pants…any advice for that ? She happily keeps on playing,sitting on her bed,the couch etc. with wet (or worse) pants and tries to hide it.It really makes me mad…. If you think the issue is more likely a bid for attention, then it’s time to shift your response pretty drastically. Unlike many people, I don’t agree with the idea of ignoring children’s bids for attention; if they are willing to go to such lengths, it’s because they need attention. You’re giving her negative attention now (pretty understandably). For the next 10 days, try this instead: when you notice she has soiled her pants, say, “Oh my! You’ve peed in your pants instead of in the potty. Don’t worry, I’m not mad. It’s OK. You’re my sweet girl and I love you so much. Come here and I’ll help you get all cleaned up. Let’s go together.” Make the process of changing clothes as warm and connecting as you can, giving her kisses, telling her about when she was a little baby and you always changed her diaper, etc.. Towards the end, say, “You don’t need to have an accident to get some sweet snuggles from me, you can just say, “Mom, can we have a sweet snuggle?” I’ll give you one any time.” If you give her the attention that she’s longing for, and then give her another (easier) way to get it, she will likely be able to give up on that negative behavior. The trick to this is that you must be JUST AS WILLING TO ENGAGE when she asks you for a sweet snuggle as you are when you notice that she’s pooped in her pants. You ALWAYS have time to get mad when she soils her pants; if asking for sweet snuggles only works sometimes, she will surely go back to what works to get your engagement. Finally, during this ten days make sitting on the potty (whether she goes or not) as juicy and connecting as possible. Maybe tell stories from when you were a little girl, or have a special song that you sing; make smiley eye contact, cup your hand around your ear to listen for any pee coming out, etc. Good luck! Please DON’T WORRY that you’ll be reinforcing bad behavior by “giving her what she wants” when she has an accident. Clearly what you’re doing now isn’t working, so it’s time to do something different. Give her what she needs, and then she should be able to be more responsive to your needs in return. Any advice for a kid who would rather hold it until they get UTI, stomache ache and diarrhea than even bend their body to sit on the potty? Our 3 year old is fully capable of holding it until she is ill and screaming in pain. There is non incentive, no trick, no ploy we haven’t tried. Hi there, I have no idea what to do next. I have a very smart, happy 3.5-year old that refuses to even sit on the potty. She will hold her pee and poo for over 12 hours until she is sick to her stomach. We end up giving her a diaper to go in at the end of the day because we are worried about her getting a UTI. Any advice? Molly, I know this thread is old but my son is the same! He is 3.5 and having meltdowns about using the potty. We have been so gentle about it. What ended up helping your little one?